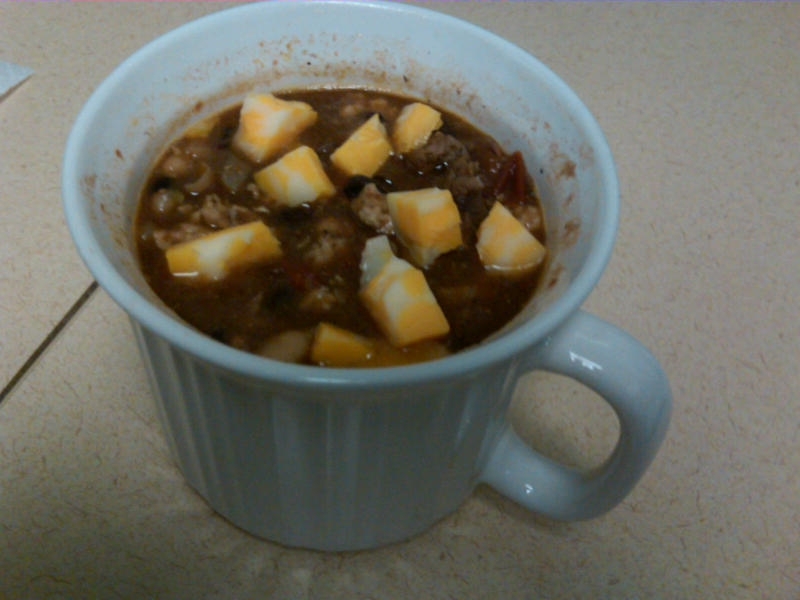 I really should probably call my chili soup, because there is no chili powder or peppers in it. I can’t tolerate anything spicy, but if you can feel free to add a little spice to your chili. This chili is super simple and only has a few ingredients. Brown ground turkey in a large pan along with chopped onion, diced tomatoes, and dried garlic. Cook until onions are soft. In a large pot combine broth, beans, spices, and meat mixture. Simmer for at least 30 minutes until chili is hot. Serve with a little cheese on top if desired.